The Intercollegiate Tennis Association released their first “Attendance Race Leaderboard” for the 2015 season on Thursday. 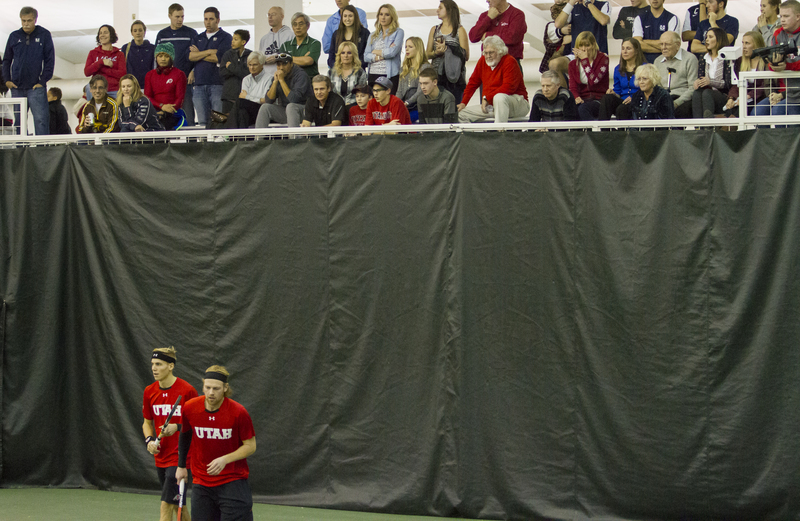 Utah averaged the 2nd best attendance in collegiate tennis (min. 3 matches) during January and February, averaging 283 fans. Utah also ranks third for total attendance. The Ute’s 6-1 win over Weber State had the second best recorded attendance for a single match. Here is a link to the ITA’s press release. Utah travels to Provo to face rival BYU tomorrow at 5:30 p.m. Thank you fans for you support and GO UTES! This entry was posted in PAC-12 / NCAA News and tagged Attendence, Utah Utes. Bookmark the permalink.